Zazzle is an online printing and graphics community that can be quite beneficial to desktop publishers. The site offers a variety of items on which you can have your logo printed for either private use or public use printing. Among the products that you can choose from are the popular skinny business cards. The Zazzle site will let you either choose from an extensive list of skinny card designs or use your own graphic by signing up for the website community for free. For more information on various business card styles, check out 7 Free Business Card Templates for Microsoft Word and Using Adobe Photoshop to Create Your Own Business Cards. The skinny business card is a 1 x 3 inch card that allows you to condense information. These style business cards have become more popular over the past three years due to several factors. Being small, the cards take less time to design and saves on printing ink costs. The cards are also easy to store and pass around. 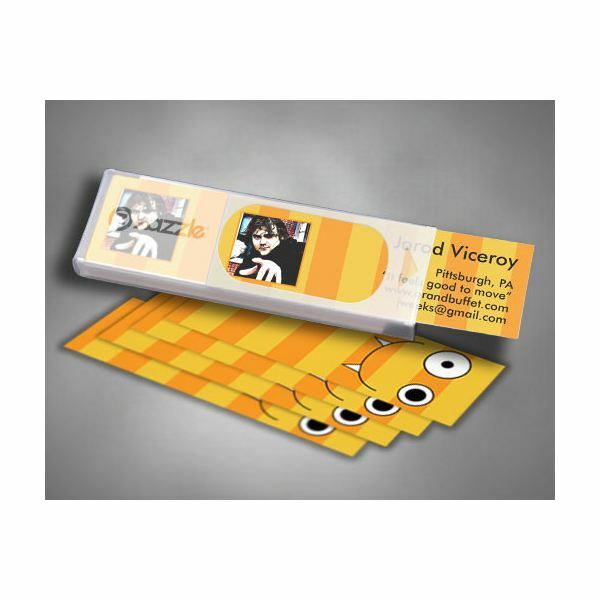 And they are different enough from the standard sized business cards of 2 x 3.5 inches to make them more noticeable. The whole process of using an existing template for your skinny business card is simple. On the left-hand side of the screen, Zazzle lets you type in the information that will be on the card so that each template that is looked at can be previewed first before ordering a set. Once a card template is chosen there are more design options to consider with the offer of free double sided printing, full-color printing and eight different types of card stock for printing to chose from. 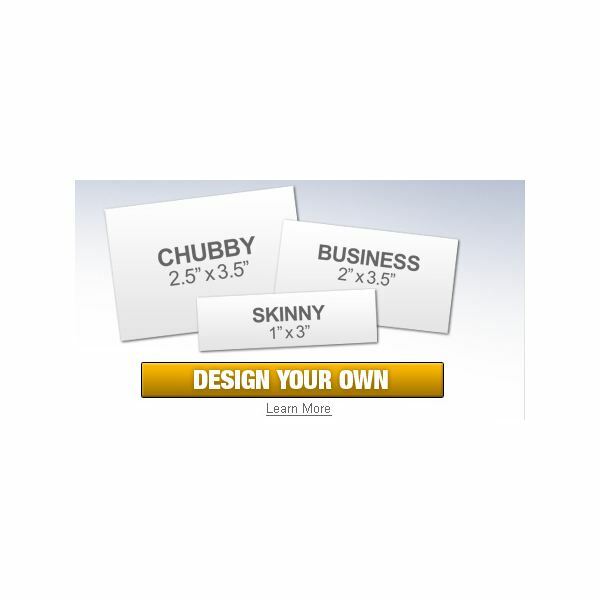 Zazzle will also provide a free skinny business card holder to help you quickly hand out each card. style card, you can choose to offer your design to other Zazzle users by making it public. You can also choose to keep your design private and not allow what you have created to be used by other members. For more information on design, pricing and printing visit Zazzle’s business card page at www.zazzle.com/businesscards . *images used were provided by and Copyright © 2000-2011, Zazzle Inc.